#FBAddict: 20 Signs You Are a Facebook Stalker! Nothing gives you more pleasure than stalking a bunch of people, known or unknown, on Facebook. You’ve mastered the art of knowing everything about a person from their social media profile - because, after all, information is power. We salute you! 1. You often find yourself indulging in this game: going to a friend's profile, checking out his/her friends list, and visiting the profiles you deem worthy of checking out. 2. You meet someone new and you instantly go home and stalk them on Facebook! 3. You update your Facebook timeline every 20 minutes during the workday. 4. You can tell when people repeat their outfits from a particular picture on Facebook. 5. 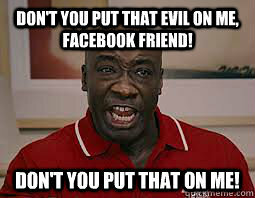 You can’t let anyone see your Facebook activity log because it’s filled with your stalking history. 6. You’re the designated Facebook stalker for all your friends - soured friendships, new relationships and crushes, you’ve stalked them all on behalf of your friends. 7. You have a stalking OCD now. That’s the last thing you do before you go to sleep and the first thing you do when you get up. It’s how you pass the time while you are on the pot. 8. 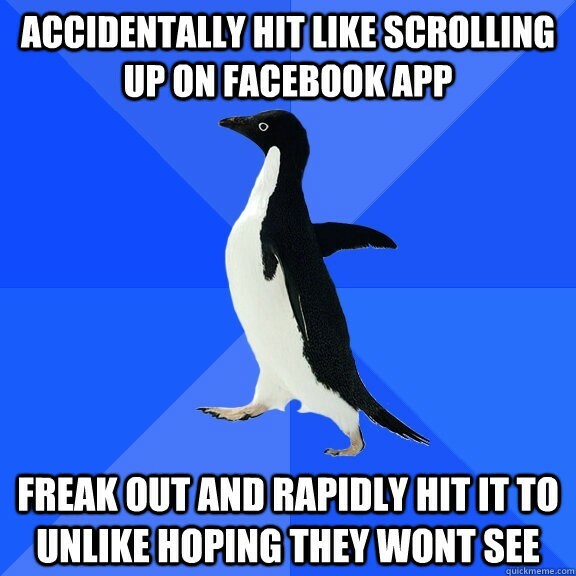 You’ve accidentally “liked” the picture of the person you’re stalking and hurriedly gone to unlike it. This has happened more than once to you. 9. The first time you were stalking someone, you put their name in the status bar instead and nearly died when you realized you published it. Yikes!!! 10. If there was an agency that recruited Facebook stalkers, you know you would be the first to get in. Facebook jasoos to the rescue! 11. Your friends might laugh at you, but you know you’re the first one they turn to for everyone’s Facebook deets. 12. Your friend might not have told you yet who she is dating, but you already know, right? Thanks to the close tab you keep on all her FB activity! 13. You pretend to know less about people than you actually do because otherwise you’d come across as a seriously creepy person! 14. You use the Incognito Window on Chrome or private browsing on Firefox while stalking strangers on Facebook. Otherwise you are constantly deleting browser history lest someone should see just how creepy you are! 15. Everyone at your office knows what your FB push-notification alert sounds like. 16. You are the go-to person for digging up old notes and posts. You know just the right pictures to pull when you need to embarrass a friend! 17. The news feed ticker is you favourite thing on Facebook. 18. You judge people on the basis of “common friends” and whether any of their other friends are famous or not. 19. You are the first to like or comment on a post intended for someone else, even before he/she has seen it. 20. Your biggest fear: hitting the “Add Friend” button by mistake when you are stalking someone you don’t know! GIFs: Tsangg, Wifflegif, Giphy MUST-READ: 15 Types of People You Meet on Facebook! MUST-READ: #StayMotivated? Things Only Someone on a Diet Can Relate To!